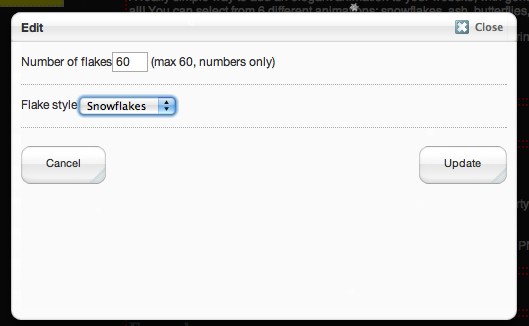 A really simple way to add an elegant animation to your website, with gentle falling snowflakes. But that's not all! 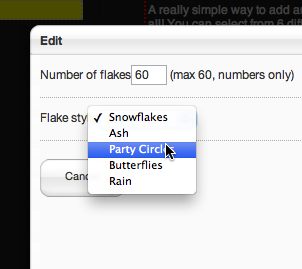 You can select from 6 different animations: snowflakes, ash, butterflies, party circles, flares and rain. If you only want a little snow, you can control the amount of snow appearing. Don't you wish you could control the real weather like that?